Located 10 miles east of Toronto, Mike and Beth Hammon have been running this hunting preserve for over 25 years. A big portion of their business is also raising and selling pheasants, selling about 20,000 each year. 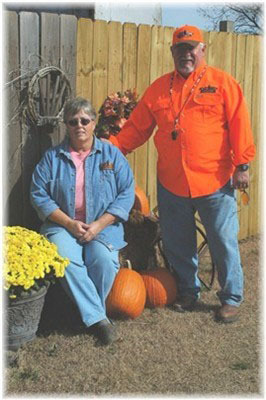 For over 30 years Mike has been raising bird dogs, keeping about a dozen on hand for customers or his own personal use. With over 600 acres of quality hunting ground, up to five hunting parties of five or six hunters can be accommodated at a time. The Lone Pine Extra, just over 700 acres, features 17 sections with no public road access. The European Harvest offered is great for younger shoots or a couple to spend the day together. Gun dogs are available for use, free of charge. They also dress and package all harvested birds with no extra cost to you. Operating under the rules and provisions set by the Kansas Department of Wildlife and Parks, a hunting license is required for persons over 16 and under 65 years of age. Controlled Shooting Area licenses are available for out-of-state hunters wherever licenses are sold and are good for a calendar year.